You are here: Home > Event Report > Cheers to our Tough Mudderers! 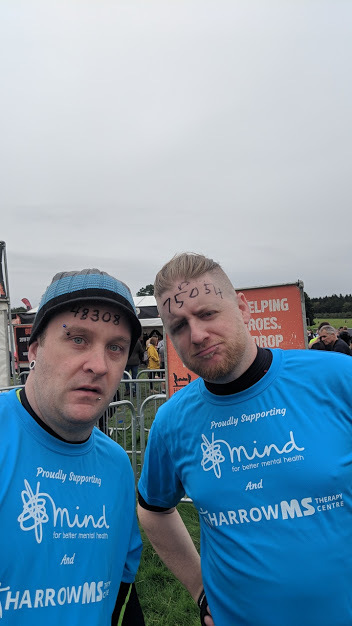 Joshua — son of members Jonathan and Linda Baum — braved the Hemel Hempstead course of the London North Mudder in early July. 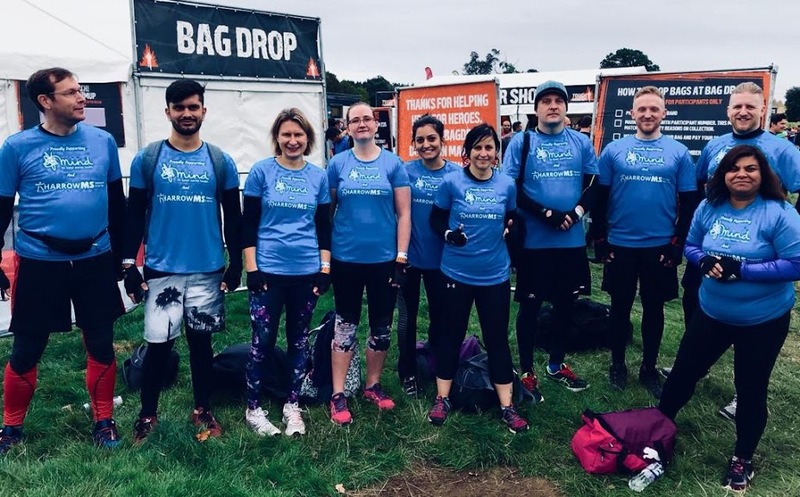 “I am raising money for MS Therapy Centre Harrow, by pushing myself to the limit and running the Full Tough Mudder: 10 miles and 20 obstacles. He has so far raised nearly £1,000 for us. 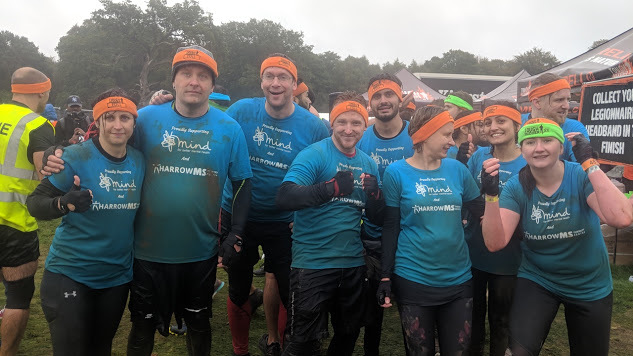 On Saturday 22 September member Steve Harris and a team of friends tackled (and defeated!) the South London Mudder. Tough mudderers Steve and friend. Well done to all you brave people! And thank you! Does the mud ever wash away? !